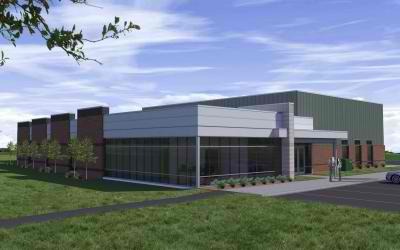 Mid Michigan Community College will host a ribbon-cutting ceremony for the new Morey Technical Education Center on its Mt. Pleasant Campus on Thursday, Oct. 30. The Morey Technical Center, so named because of generous funding from The Morey Foundation, will complete the development of a comprehensive and unified campus in Mt. Pleasant that mirrors the services offered at the college’s Harrison location. The $3.4 million project is evidence of MMCC’s ongoing commitment to meeting vital workforce development needs in the central Michigan area. Area manufacturers have expressed a growing need for trained employees, and the design of the tech center was carefully engineered to meet their workforce needs. With flexible learning spaces, the center will offer a variety of short-term training programs to meet present and future demand for skilled manufacturing personnel. While there will be dedicated areas for welding and computer-aided drafting, other areas are open and designed to respond to specific training requests. The facility will also house the Michigan Small Business Development Center – supported by the Small Business Administration and hosted by MMCC – that will continue to support entrepreneurs and help grow established businesses. A dedication ceremony will begin at 4:30 p.m., followed by the ribbon cutting at 5 p.m. at the new Morey Technical Education Center, located on campus at the corner of Broadway and Summerton. The public is welcome and invited to tour the new facility after the ribbon cutting. For more information, contact Jessie Gordon at 773-6622, ext. 526.